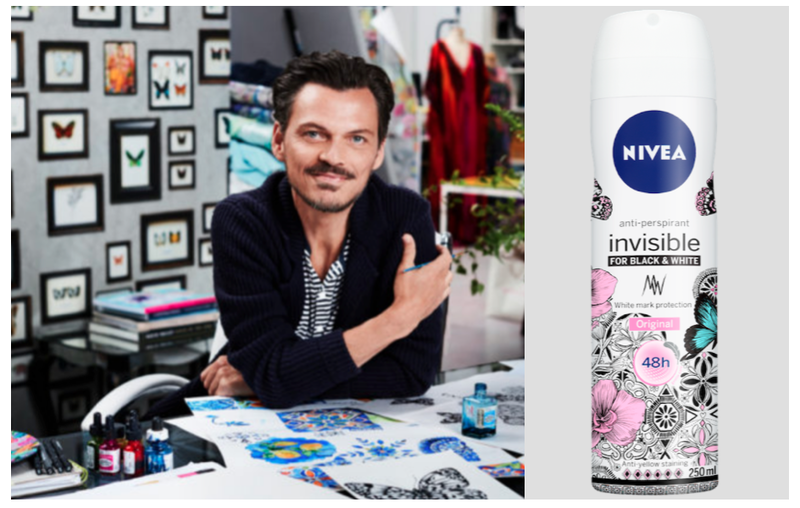 NIVEA has partnered with the celebrity designer Matthew Williamson who is famous for his eclectic butterfly iconography range. Williamson’s new project is a limited edition blue and pink floral design featuring his butterfly for the NIVEA limited-edition Black & White Deodorant. The Deodorant, ensures 48 hour non-stop protection against perspiration and designed to retain the integrity of clothes with superior anti-stain technology. NIVEA limited-edition Black & White Deodorant designed by Matthew Williamson, will hit shelves August 28th available to buy nationwide for a limited period only.